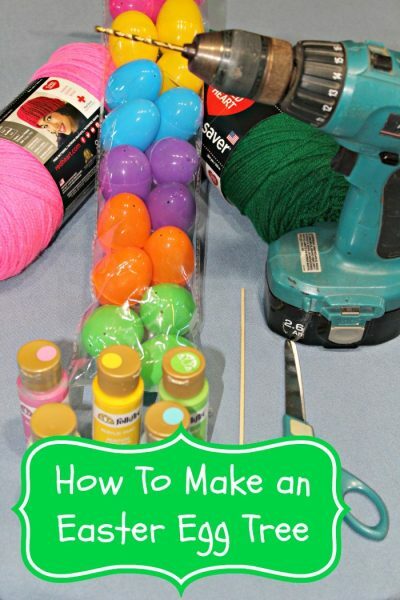 12 Easter Egg Trees you can make with your family! 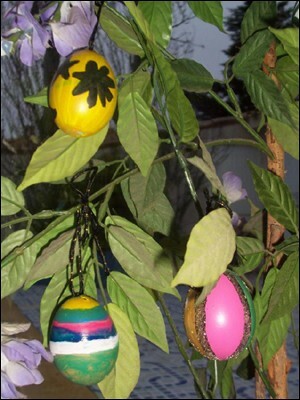 Easter egg trees are a very popular old European tradition. Mostly found in Germany and Austria, they are also found in Czech Republic, Ukraine, Poland, Moravia, and Hungary. The Spring tradition of the Egg Tree is centuries old, as the egg is the ancient symbol of life all over the world. 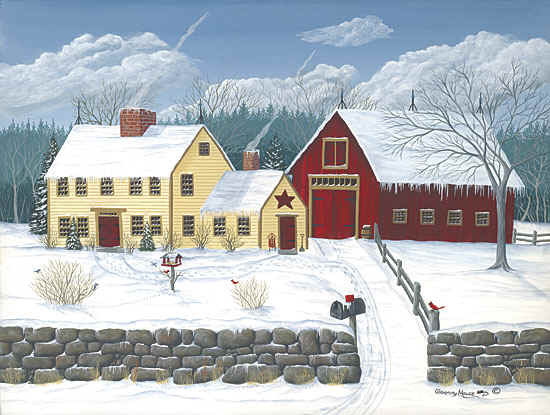 Traditionally eggs are hung on the branches of trees outside and on branches inside the home. The most famous Easter Egg Tree in the world is Saalfield, Thuringia and belongs to Volker Kraft. Volker’s lifelong dream, after seeing a lilac bush decorated with Easter Eggs as a young boy on his way to school, was to have a splendid tree of his own. In 1994 his collection that he displayed each year consisted of about 350 Easter Eggs. But as the apple tree he displayed them on grew grew, Volker needed more eggs to fill out all the branches. The whole Kraft family got involved in the project, helping by blowing out every egg used in the household during the year. Eggs were carefully packed away and saved from year to year the way most of us save Christmas ornaments. In 2012, the number of eggs on the tree had reached 10,000. The decorating of the tree takes about 2 weeks and involves the entire family. 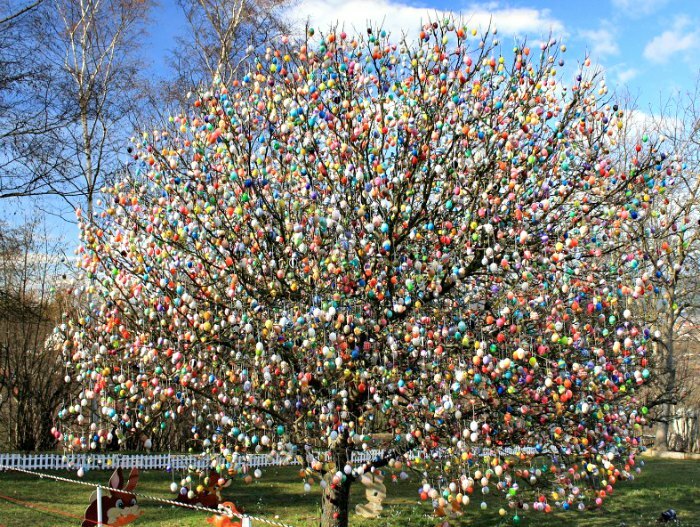 The Volker Easter Egg tree is visited each year by people from all over the world. As amazing as that tree seems, it does not hold the world record for the most Easter eggs on a tree. 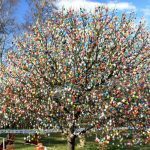 That Guineas World Record is held by a red oak tree at the Rostock Zoo, which was decorated with 79, 596 blown and painted eggs in April of 2007. Start your own Easter Egg Tree tradition! So with that information in hand, you and your family can start your own tradition of the Easter Egg Tree. Easter egg trees can be inside or outside, elaborate or simple, but most importantly they should be fun and bring the family together in celebration of spring and Easter! These kinds of holiday traditions make special memories that you and your children will cherish forever. Be sure to keep the camera handy to document the fun. Start planning during those last cold days of winter. Crafting the tree decorations is fun for the whole family just be sure to make them waterproof so they are protected forom all the spring showers we get during the Easter season. Don’t get hung up on perfection. Concentrate on the fun and the good memories. Easter egg trees don’t have to be outdoors. As you’ll see in the examples below, you can bring the outside in with just a few bare branches and create an Easter egg tree in the middle of Manhattan. Here’s 12 fun ideas from around the Web to inspire you and your family. I divided them into 2 groups. The first group would be great projects to do with preschoolers and toddlers. The second group is for the family with older kids so everyone can participate. This tree from Crayola is a great tree to make with your younger children. This tree by Crayola uses their Crayola Model Magic to make the eggs. A great job for little helpers. This Easter Egg Tree just requires assembly. 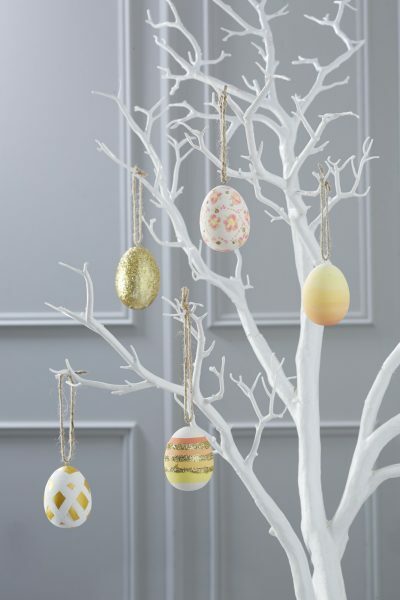 Little ones will enjoy being able to hang the eggs on the branches. The Happy and Simple blog has this little tree that is perfect for toddlers and preschoolers to help with. You could even use their summer beach pail and their stuffed bunny to make them feel even more of a part of the project. The Wilderness Wife Blog has a tree that is perfect for toddlers and preschoolers to help with. The project requires limited dexterity and is something that the whole family can participate in. You can hang plastic eggs from a tree or you can blow out real eggs and paint them and decorate . Check out the Hello Kids Blog for some helpful hints. The folks at Hobbycraft painted a tree branch white before hanging the eggs from it. Very striking idea an I love the choice of colors in this tree….very springy ( is that even a word..lol). 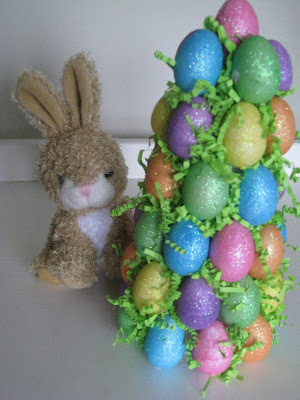 This Easter egg tree made from a Styrofoam Cone and Plastic Eggs is featured over at the Sweet Floweret Blog. I love the colors and the simplicity of it. Very pretty with a dramatic color scheme. The Inspire Bohemia Blog has lots of interesting hints and ideas about creating your own Easter Egg Tree. I love the inspiration that these eggs and the egg tree come from – one of my favorite authors, Tasha Tudor. As a child I had a collection of books by children’s book author, Tasha Tudor. My mother had met Tasha Tudor in Vermont and had her autograph the book for me. I don’t know where that book is now but when I saw ” A Time To Keep” mentioned as the inspiration for this Easter Egg tree mentioned on The Artful Parent Blog I was drawn right in. 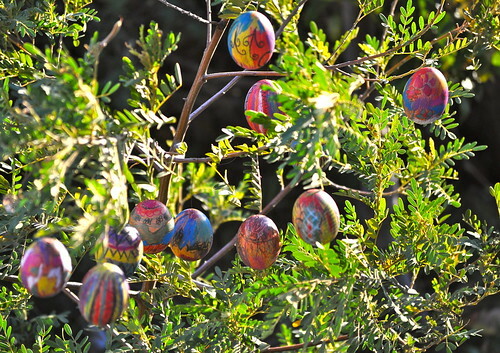 Brilliantly colored eggs made by the whole family make this Easter Egg Tree very special. The blog Se7en shows how the whole family can help in making a stunning tree like this one. You get a warm, sunny spring vibe from this Easter Egg Tree. 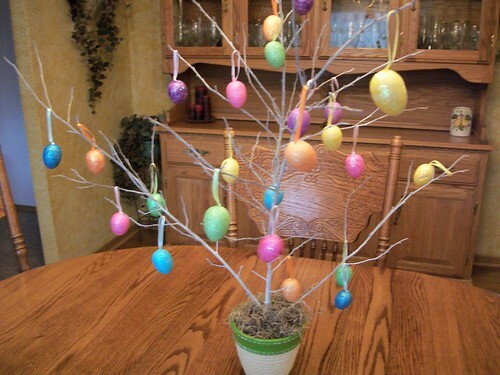 Saving Lifestyle Blog has this idea for a very frugal and easy Easter Egg Tree. Curly Ribbon gives the WOW factor on this Easter Egg Tree. 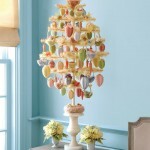 Faithful Provisions blog put this stunning Easter Egg Tree together using curly ribbon for pizazz! Modge Podge was used to fashion the eggs on this Easter Egg Tree inspired by Martha Stewart. At Crafting with My Cub blog, Modge Podge was used to decorate the eggs used on this tree. So have fun, and turn this old European tradition into a family tradition for you and yours. Build memories for your kids that they will treasure for a lifetime! For more Easter Egg Tree ideas visit this page – Easter Egg Trees for Your Inner “Martha” for some more involved Easter Egg Tree projects. Love seeing how many different ways there are to interpret such a simple and meaningful idea! Thanks for sharing on Busy Monday! Wonderful information and I love all the different trees. I’m inspired to start one with my grandchildren. Thank you for joining us at Transformed Tuesday this week. Oh my these are adorable trees! Thank you for sharing them with us in our Crafty Showcase. We love seeing what you link up each week! 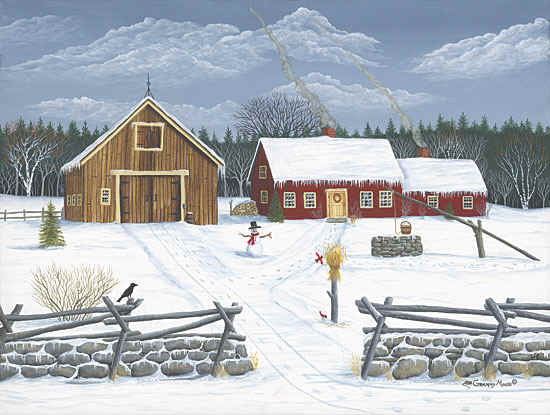 Tasha Tudor has always been one of my favorites, too! She was such a piratical lady. I used to work at Colonial Williamsburg and she came there for an event once. Everyone was all dressed up and fancied out and she just showed up to this black tie function in her homespun! She’s a national treasure. Her body of work is among the best of children’s books! Love the Easter egg trees – especially the World’s Largest! Thanks for sharing. Pinned! So pretty! An Easter tree is really within reach of everyone – a few branches from outside the door and one’s home made creations to grace them! Oh, how wonderful!! I love the history and the round-up. It reminds me of the book we read recently The Story of the Easter Robin by Dandi Daley MacKall. In the end the grandmother and granddaughter make egg birds to hang on a tree Easter morning. Thank you for sharing at Sharing Saturday! I love all these! Thanks for linking up with me for Friday Favorites. Please come back and link up this week. 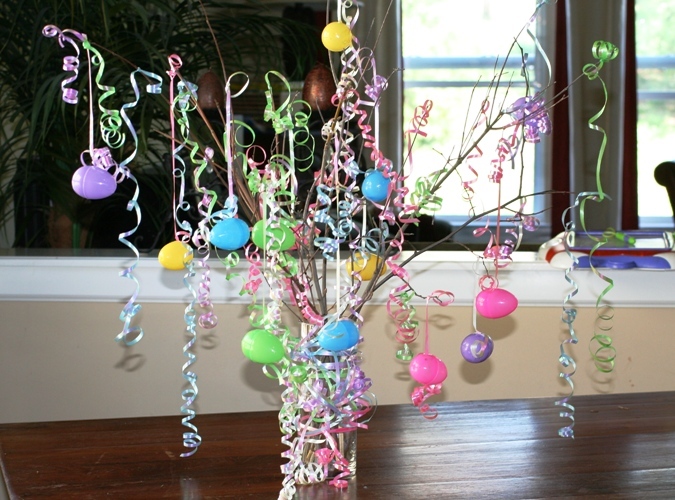 We did an easter egg tree using a rope vase I made, branches from our back yard, and glittery eggs from Dollar Store! Thanks so much for sharing – love all those pix! How cute are those, I loved all the different pics. Thanks for sharing at the Cabin. These are all so pretty. I really like the vignette with the cobalt blue and white colors – just beautiful! Thanks for linking this up to Saturday Sparks. 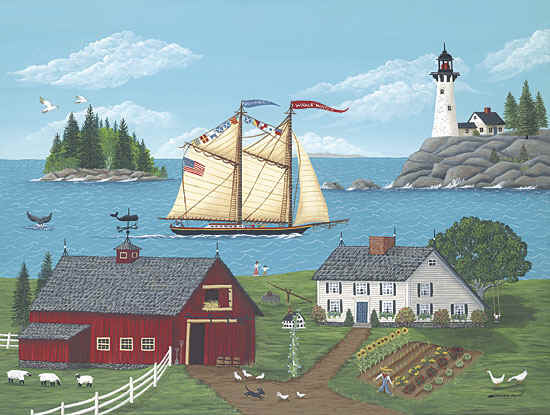 Stop by Friday to see the Viewer Favorites. Cute ideas. My dad used to make an Easter egg tree when we were kids. This brought back memories. These are some great ideas…thank you! I appreciate you linking up this week. Such a cute idea! I enjoyed your Link Ups!! Thanks again! What a fun post! I do need an Easter egg tree! 10,000 eggs would make any tree amazing. I’d love to see it. I liked the one with curly ribbon. And the blue one is my fav. Thank you for sharing this with my readers of The Sheltering Tree. Very fun Easter Egg trees. I have done one a few times. I put some branches in my urns out on the front porch. Thought I would hang some eggs from them, but haven’t got to it yet. Thanks for sharing with SYC. My kids always enjoyed decorating the Easter Egg Tree. Here in New England Spring is slow to come and an Easter Egg Tree can add a touch of cheeriness! Wow, what a lot of work that family did and how sweet of them to do it together so that his dream could come true! I never heard of an Easter tree before. I don’t know how I missed hearing about it. I have seen pictures on blogs and stuff where people have hung eggs on branches, but I just thought they were being creative. I didn’t realize that they were trying to make their own version of an actual Easter tree! Traditions like the Easter Egg Tree make for some special holiday memories. It’s a great family project that everyone can participate in. What a bunch of great ideas! I may do something like this for a centerpiece. Thanks for the inspiration! Thanks! Easter Egg Trees are a fun tradition to start with your kids. 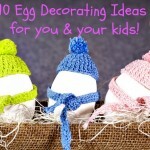 They love creating the egg ornaments and decorating the tree, It’s a great project for the whole family. I can’t imagine blowing out all the eggs! Such a commitment to a dream! Hats off to them! Great collection of Easter trees. We saw our first of these over 30 years ago when living in Germany, but never saw the one you have in your photo. That’s quite a tree! The amount of work that goes into it is mind blowing! 10,000 eggs….. I’d be lucky if I did 50! All are great ideas. I love the first photo with the beautiful eggs hanging from the tree limbs. Happy Spring. Visiting from Sat Sparks. Ah, what fun inspiration! I haven’t put one up this year, but I think you have given me the push I need! Hope you can stop by the enchanted oven. Such great ideas. I just made an Easter tree with twigs and simple color eggs!! Hi! I’m visiting from Friendship Friday 🙂 I hope you’ll also join me for my Friday Flash Blog on The Jenny Evolution (www.thejennyevolution.com). Happy weekend! Beautiful! I should show my kids the eggs made with the Crayola supplies. Thanks for linking up at Fabulously Frugal Thursday! Check back next week to see if you’re a featured post. We won’t be able to feature you if there’s no link back to the party. I love that you include such a variety of ideas. I think my mom friends would love this! PS I do a Friday Linky party w/400 visitors if you want to link up! I would love to see that Easter tree in Germany! Great list! It is quite spectacular….10,000 eggs. I don’t think I would have the patience to hang them all. I remember living in Germany when my children were very small and all the neighbors had decorated the outside trees with decorative eggs. 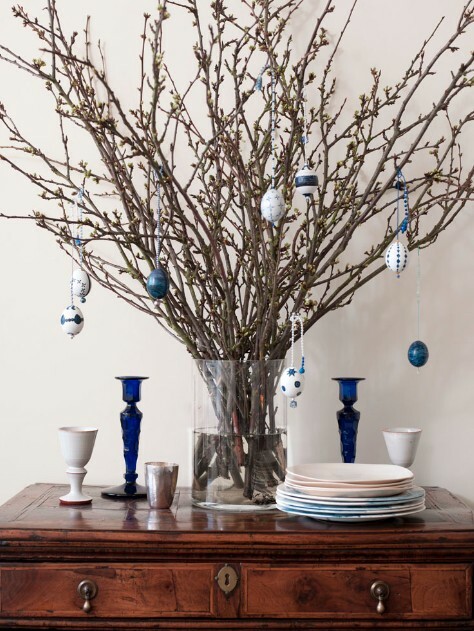 In my home country Sweden we make Easter Trees inside just like the one above with blue and white eggs. We add colored feathers to our tress too. Which can be a nuisance when you have cats because they love to get the feathers.. Thanks for sharing this post with all the pretty trees..
What a wonderful idea. We took a trip to Prague once and the workers were decorating trees around the city with eggs. It was very cool and so is this! Wow, so many great ideas!!! Thanks for putting this together! I would love if you would come share this, or another project at my link party today! http://domesticsuperhero.com/2013/03/14/sharing-with-domestic-superhero-thursday-link-party-2/ Hope to see you! Thanks for linking this up at my Thursday link party! I hope to see you back again this week! Well that was all just fun to see! Thanks for sharing it! This is a lovely round up of Easter Trees and a great tradition 🙂 Thank you for sharing this post at the ALL MY BLOGGY FRIENDS party!